Attention young artists! Opening Night is just around the corner and Griff needs your help to decorate our office windows with unique Griffins artwork in preparation for the 2018-19 season that kicks off at home on Friday, October 12 at 7:00 pm. 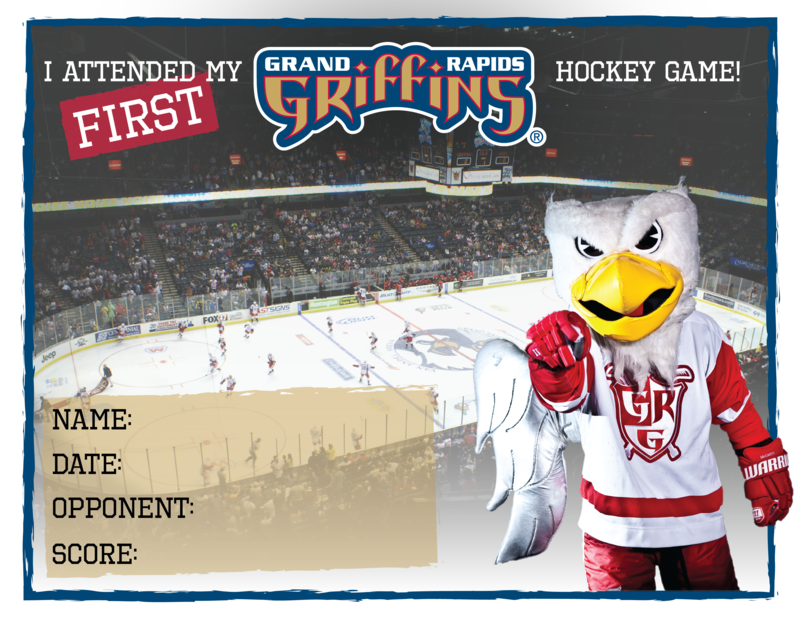 Send us a photo of your 8.5 x 11 (or smaller) work of art that helps us promote the new season of Griffins Hockey, and we'll display it in our office windows on the east side of Van Andel Arena during ArtPrize, now through Oct 8. Griff will pick one lucky artist to win an Opening Night Den for his/her family! Share your art on Twitter and/or Instagram using #GriffArt for the chance to win other great prizes, including gift certificates to Craig's Cruisers.